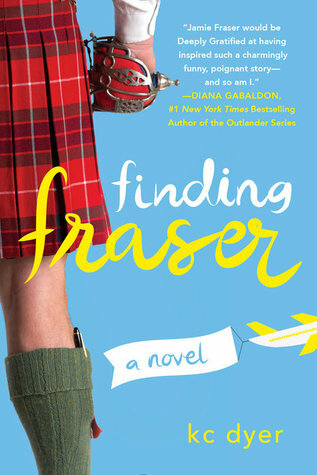 Escape to Scotland with the delightful new novel that readers have fallen in love with—inspired by Diana Gabaldon’s #1 New York Times bestselling Outlander series. KC Dyer is the author of several books for teens and adults, including A Walk Through a Window, Ms. Zephyr's Notebook, and the Eagle Glen trilogy. She resides in the wilds of British Columbia in the company of a wide assortment of mammals, some of them human. Visit her at kcdyer.com. Romy Nordlinger is a New York City-based actress whose TV credits include roles on Law & Order, All My Children, and One Life to Live. As an audiobook narrator, she has lent her talents to over two hundred titles ranging in genres from romance and self-help to sci-fi and mystery. So if your a fan of that show or character then this is a book your def. going to want to read! This is so funny!! Its full of laugh out loud moments, great adventure, and a great new beginnings. This book will grab you from the first pages as the author takes us on a wonderful journey to find her a man like Jamie! I really loved how it was split up via blog posts and story. The author did a wonderful job keeping me entertained! This is the book for anyone who has ever had a book boyfriend! Read it, Devour it, Love it! Be obsessed!!! For fans of Outlander ~ For those who have ever had a book boyfriend! Great blend of story and blog posts.